Launching a Month of FREE shipping! November 16th through December 16th enjoy FREE Priority Shipping on Domestic USA orders over $30 and International orders over $130! Typical savings ~15-20%! Not typically slow free shipping either. This is fast and free! Typical time from order placement to delivery to you is 4 Business days! Choose Free Shipping when checking out. No hoops to jump through. No email to sign up for. No secret code needed! A pair of clean customer shots this AM. Mitsubishi Lancer ready to go for a fall foliage tour on some deserted back road somewhere. 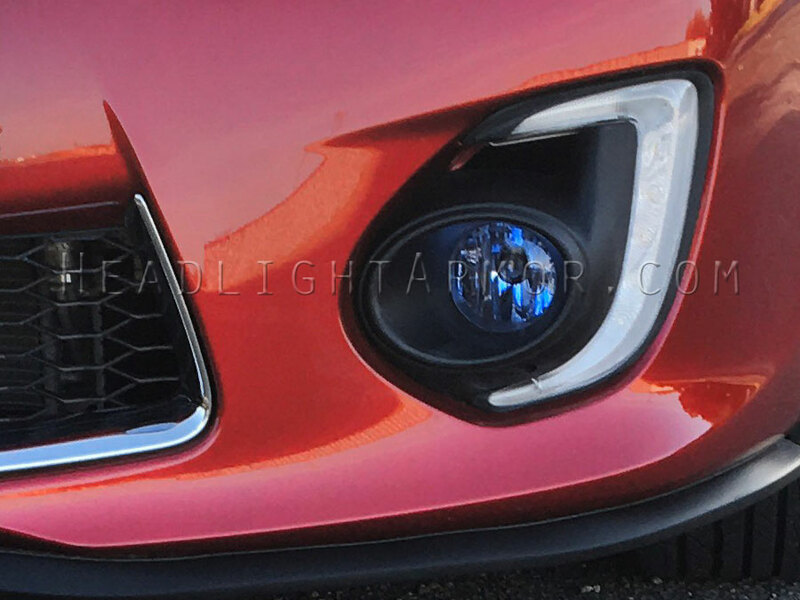 Fog Lights are protected with Headlight Armor HID Blue Lighting Protection Film, to protect the lights from the onslaught of the road and to update the look. Like the look? Last edited by HeadlightArmor; 11-20-2018 at 11:29 AM. You made it to Saturday! Hope everybody was able to have a restful Thanksgiving! Hope everybody made the time to spend time with friends and family and to reflect on the many things we undoubtedly should be thankful for! Now that Thanksgiving is over; it is ok to start streaming Christmas music if that is your thing. Our Month of FREE shipping! (November 16th through December 16th) marches on. Enjoy FREE Priority Shipping on Domestic USA orders over $30 and International orders over $130! Typical savings an additional ~15-20%! 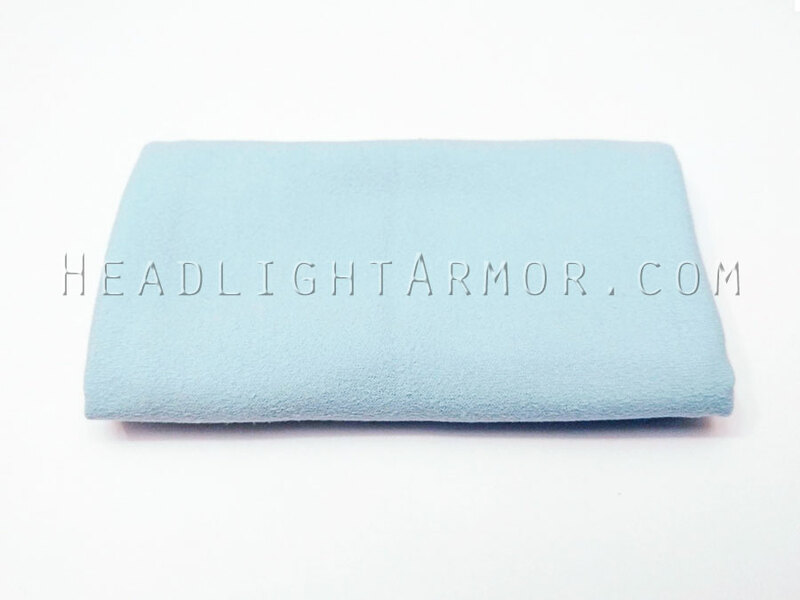 Additionally with each Headlight Protection Film Application and each Smoked Taillight Film Application receive a FREE Suede Microfiber Application Towel! These towels will greatly ease your install and are the same ones we use for our installs. Cruising trough a hectic week. As of Wednesday evening, all orders in by noon Wednesday have shipped. From this weeks shipments USPS is about 1 day behind normal deliver times to all of the USA save CA. CA is running about 2 days behind normal even to areas not directly in the numerous wild fire areas. A lot of systemic challenges there. We have fielded a number of questions recently on uv exposure / hazing / fading / clarity issues on polycarbonate headlights.Modern headlights come with a hard uv coating from the factory. These coatings are much better that they were decades ago as manufacturers transitioned to composite headlights. If you took a brand new headlight and placed it in the sun the uv is not going to have much effect on the lens in any useful time frame. The most likely reason your headlight will fog up / did fog up is not usually do to UV on its own. 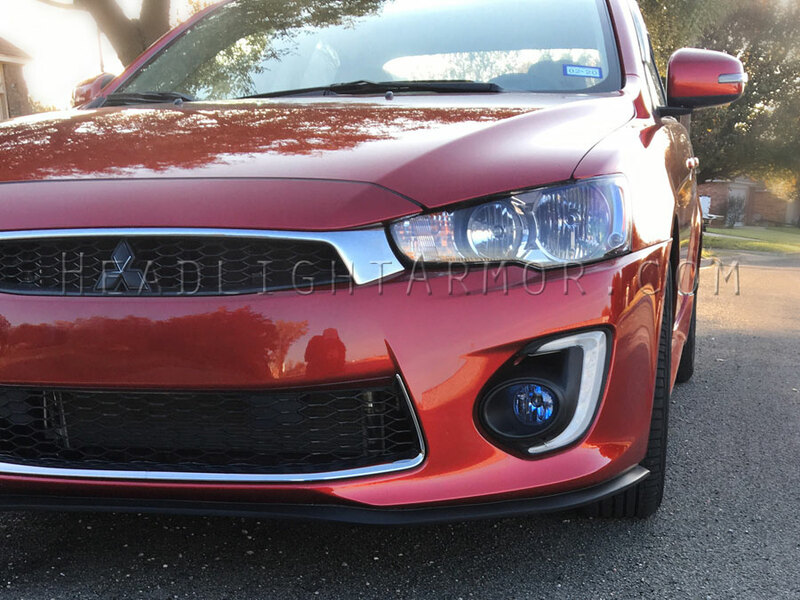 All headlights come with a hard protective UV coating from the factory. The problem starts when you drive your vehicle without a lighting protection film applied to the lights. Over time sand and road debris chip the hard coating the headlights came with and the sun starts to break down the polycarbonate. This process happens slowly, little by little. So slow you don’t notice it until it is too late. If you then sand down and polish the lamp and return the clarity you must protect the lamp from both exposure to the atmosphere and UV otherwise you will have the fogginess return. While you could use some sort of polymer sealant they typically do not last that long and of course will do nothing again further pitting – and pitting was the root cause of the cloudy / foggy lens. Your best course of action is to protect the lens with our Headlight Armor lighting protection kits! As always, if you have any questions about our Headlight Protection Film applications let us know. Thanks again for your support! 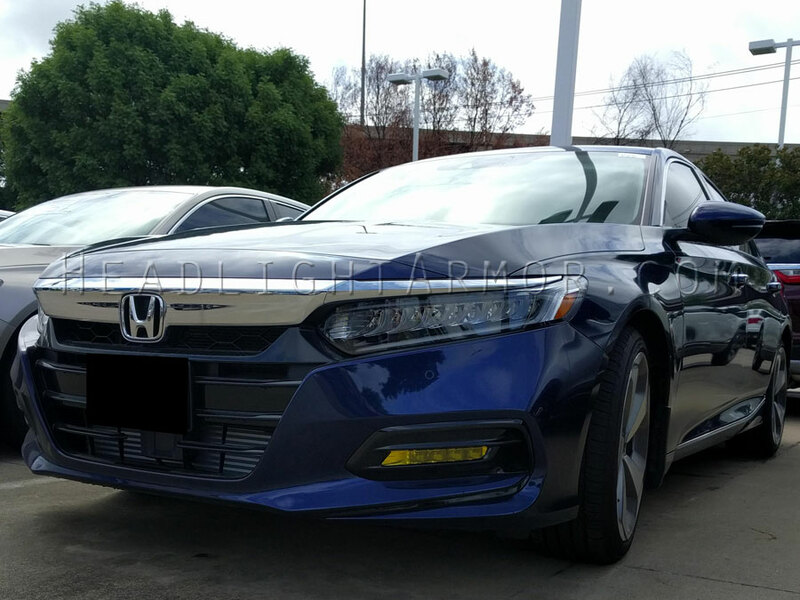 Kicking off December with a shot of a new 2018 Honda Accord looking ready for the work week commute with a fresh set of Headlight Armor GT Yellow Fog Light Protection Film. These low slung fog lights now have some protection from impacts, and a nice POP of classic yellow! Like the look? Up close and personal. 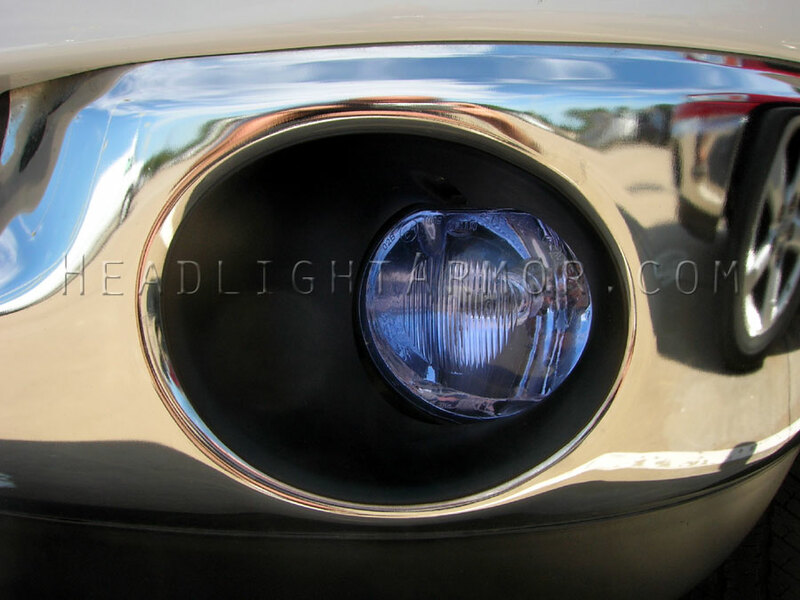 Dodge RAM fog lights now protected with Headlight Armor HID Blue Fog Light Protection Film. (shines white). Pop of color and tough protection - a winning combination! Are your lights protected? An artsy customer shot for your Saturday. 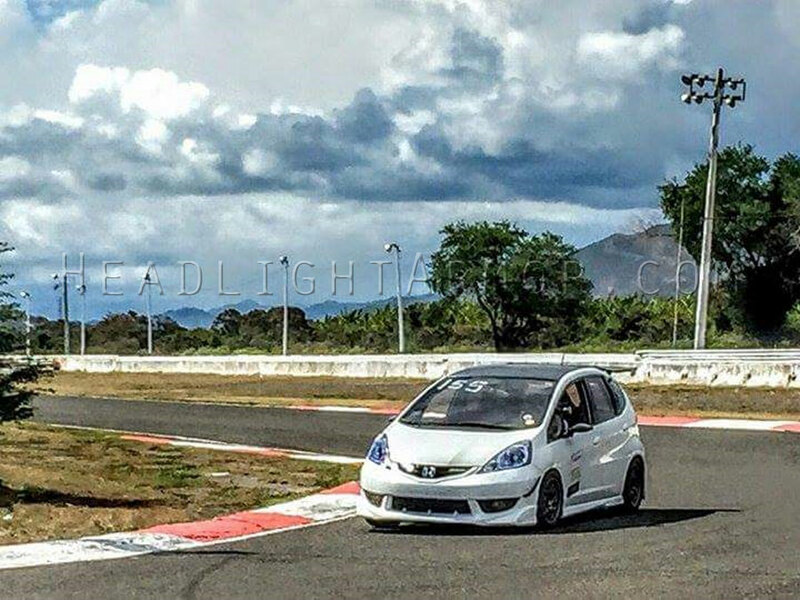 Track time in PR with a Honda Fit. Looks like fun. Headlight Armor's HID Blue Headlight Protection Film keeping the lights safe from impacts, and looking good too. A winning combination. Are your lights protected? 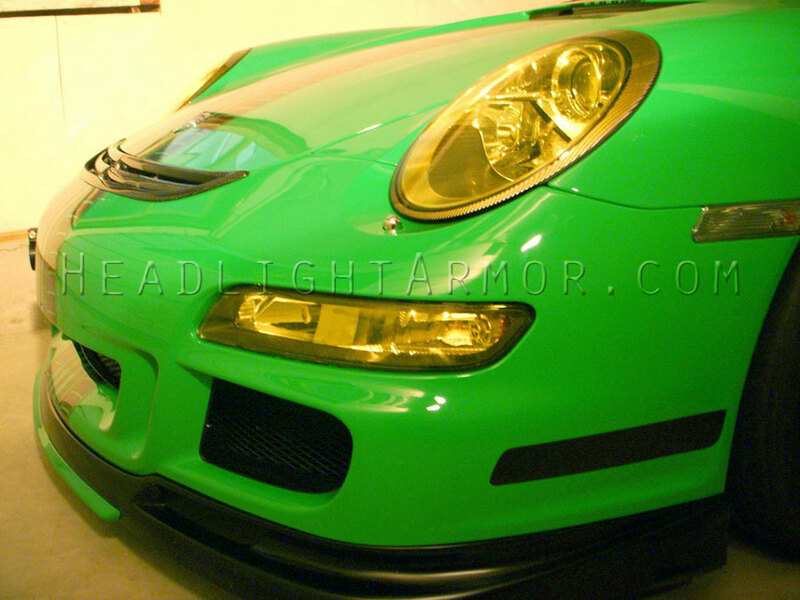 Green Monday shot: Green Porsche 911 GT3RS looking especially racy post install. HeadlightArmor GT Yellow Lighting Protection Film Applied. Like the look? Free Towel and Free Shipping available all week too! Winter may have just plowed through your neighborhood, but this Nissan 350Z is ready to hit the track! 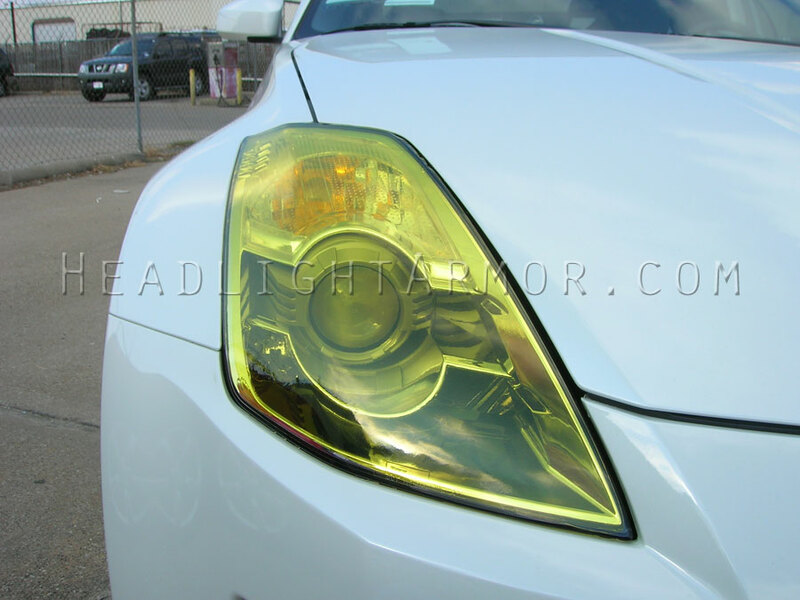 Racy Nissan 350Z closeup for your TuZday HeadlightArmor GT Yellow headlight protection film making a bold statement. Ready to hit the track or just hit the road to Grandma's house? Protect your lights before you go. Sometimes the road hits back. 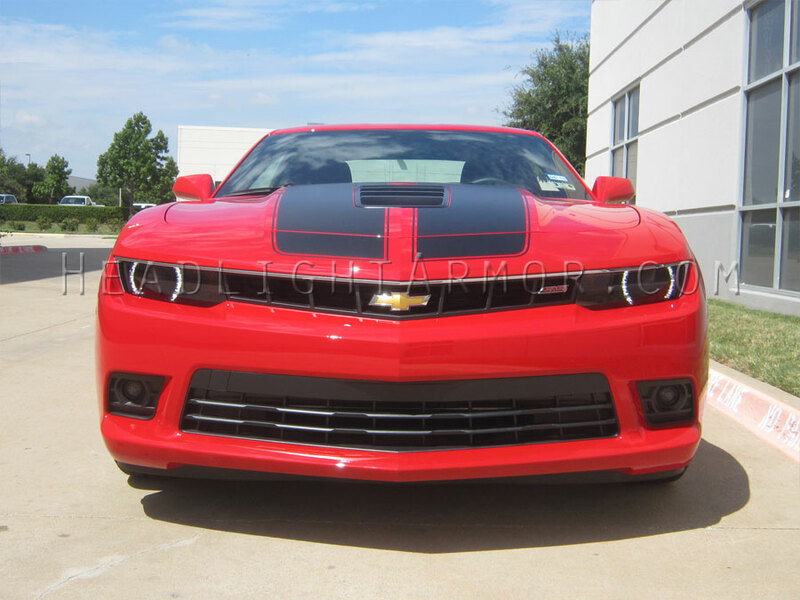 Chevrolet Camaro SS looking good with Headlight Armor Light Smoke Headlight Protection Film freshly applied and DRL's shining through. Going waaaaaay back for this Throw Back Thursday shot! 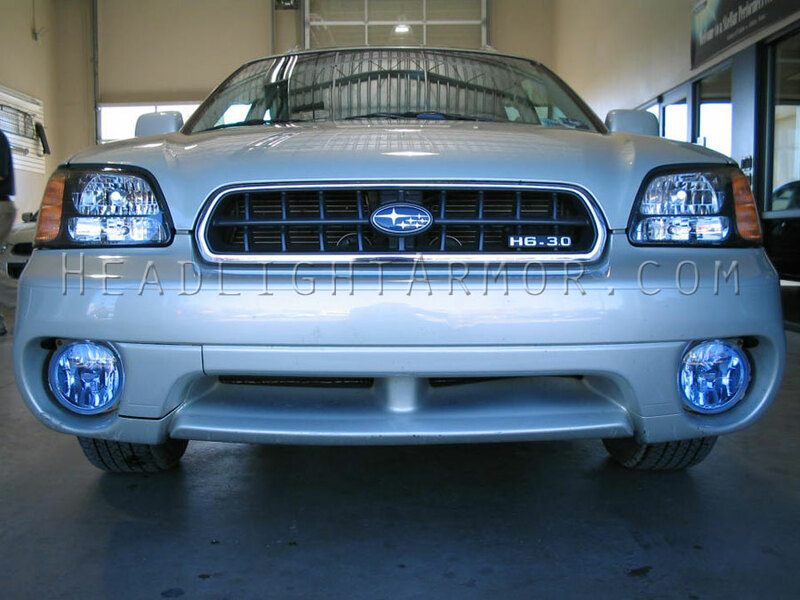 Shot from more than a decade ago: Subaru Outback ready to head into the future with its lights protected with Headlight Armor HID Blue Lighting Protection Film (shines white). Like the look? Special Promos ending this weekend! Our Free Microfiber Towel Promotion Ends Sunday! Now through December 16th 11:59PM PT we will be including a free Suede Microfiber towel with each vehicle specific Headlight Protection Film and each Smoked Taillight Application kit ordered! These towels will greatly ease your install and are the same ones we use for our installs and DIY videos. Our Month of FREE shipping ends this Sunday too Now through December 16th 11:59PM PT! Enjoy FREE Priority Shipping on Domestic USA orders over $30 and FREE Priority International Shipping on orders over $130! Not typically slow free shipping either. This is fast and free! Typical time from order placement to delivery to you is 4-5 Business days! Choose Free Shipping when checking out. No hoops to jump through. No email to sign up for. No secret code needed! Typical savings = an additional ~20% off! ALL weekend orders will ship on Monday 12/17/2018. Have a great weekend!